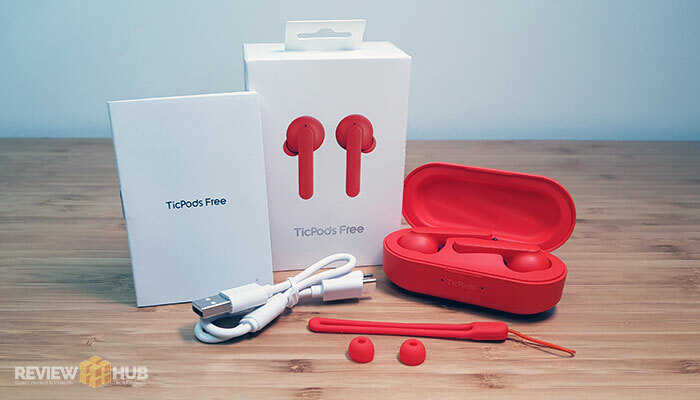 With their IndieGoGo campaign smashing their target by over 5000%, the TicPods Free earbuds have now been shipped out to the early backers, and more importantly, are available for you and me on Amazon. 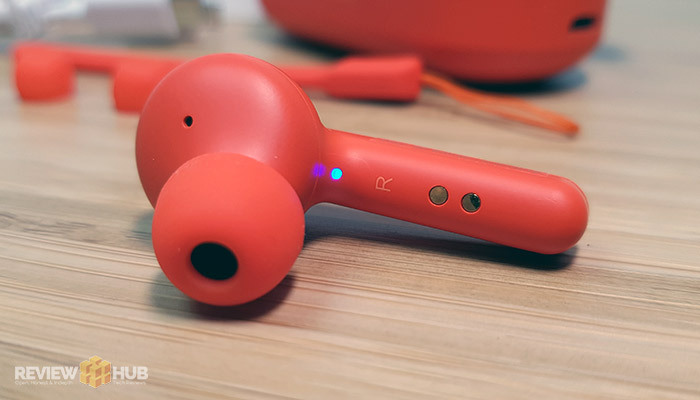 But, with wireless earbuds flooding the market, what do the fairly pricey TicPods have to offer, that the competition doesn’t? Well for starters, they sound pretty awesome! Too often we get form over function in the world of audio, where a product passes all the tests except for sound quality. Luckily, the TicPods buck this trend by offering a well balanced sound that’s back up by an impressive 18 hour charging case. Have the TicPods got you all excited? Let’s jump into the full review. Let’s get down to the essentials, how the heck do the TicPods sound? After shoving the little lava coloured Star Trek props into my ear canals and loading up ‘Solo‘, you can hear the tight treble, rounded bass and well balanced tone of the TicPods Free. I’m going to straight away say that these earbuds are not for the bass heads among you. And with a relatively low maximum volume, (more than enough for me, but not enough to make my ears bleed), I can see some of you being disappointed. To give some perspective, right now I’m listening comfortably at only two volume clicks down from maximum on my Galaxy S9. But that’s fine with me! I hate artificially inflated bass that muddies the mids and highs. So with this, the TicPods enter into the category of all-rounder headphones that accommodate most genres easily. Listening to ‘I’m Here‘, shows off the balance of these earbuds, the rounded bass of drum intro is intercepted by the tight treble with the vocals and sax clearly separated. Listening to Cats voice in ‘Wild World‘ on the other-hand, lacks authenticity and openness. Where they show they weakness is on vocal authenticity and with classical music. I also found that at lower volumes the mid-range can feel a little closed in than other headphones. Overall, they offer a well balanced sound, rounded (albeit not excessive) bass and tight treble. Inside the box, you’ll find 1 extra set of small earbuds. 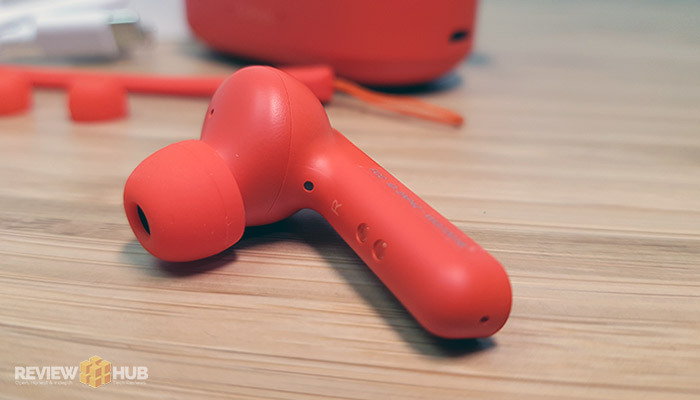 I tested with the attached medium earbuds, finding them extremely comfortable. And at only 7grams per earbud, once in, you barely notice them. It would have been nice if Mobvoi had included a few spares ear-tips or even just more sizes to make sure you get a perfect fit. Available in either white, blue or Lavvvaaaaaaa (orange), they’re not quite as elegant as Apple’s Earpods, but still a lot better than most. 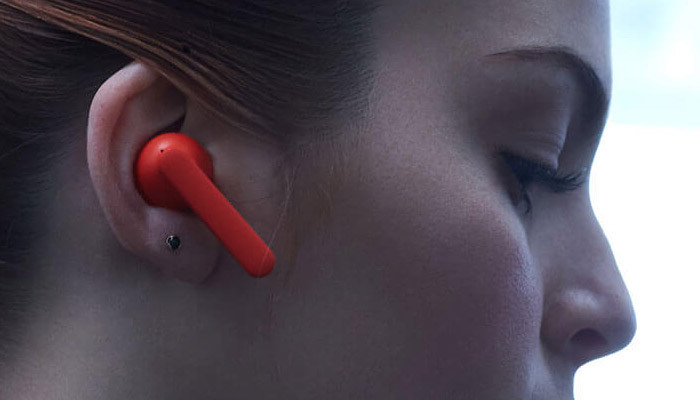 The borrowed design means they don’t protrude from your ears which helps to stop you looking… well… a bit special. To sum it up, yeah, they’re pretty damn comfy. You’ll easily get a couple of hours wear time without even noticing them. The fit is snug enough to block out outside noise, but not too tight as to course pressure. 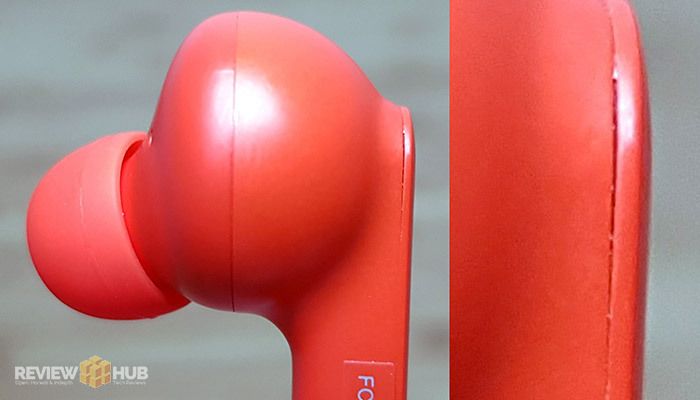 What separates the TicPods Free from its competitors is that it uses capacitive touch controls built into the earbud stem. You can slide your finger up & down either earbud to change the volume. You can also pause, play, next/previous track as well as use your phones virtual assistant (Google, Cortana & Siri). The innovation continues as the TicPods don’t have a power switch. 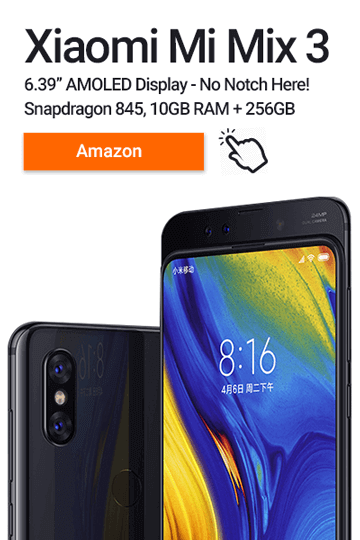 When you open the case, they’ll automatically re-connect to the last device. Using the inbuilt sensor to detect when they’re in your ear, automagically pausing when you take them out. I did find a small build quality issue on my right TicPod Free. Where two of the plastic parts met, there was a very small gap. After reaching out to TicPods, they immediately sent out a replacement pair which fixed the issue. Gold star for customer satisfaction from me. TicPods quickly sent out a replacement pair. Great customer service. Finally, any modern set of earbuds wouldn’t be complete without a water protection rating. The TicPods Free have an ‘IPX5 Water & Dust Resistant’ rating, which means they’ll handle pretty much everything except being submerged. You need an IPX7 rating for submersion. If you’re having trouble finding the TicPods in your Bluetooth settings, you might have to restart your phone first. During my time with the TicPods, I haven’t had signal disturbance or dropout when being close to my phone. Moving to the next room does mean that the connection will drop off pretty much instantly, so bear this in mind if you like to dance around your house. The included charging case is fast charge-ready and will give you 18 hours of overall playtime. Individual earbud playtime is around 4 hours, at which point you’ll need to place them back into the case. 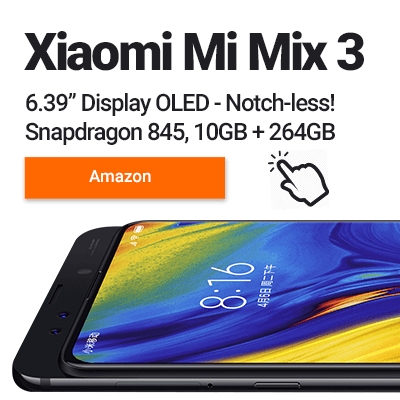 Luckily, 15 minutes case charging will net you 85 minutes of listening time. The case itself comes with a micro-USB port for charging and there’s a cable included in the box. 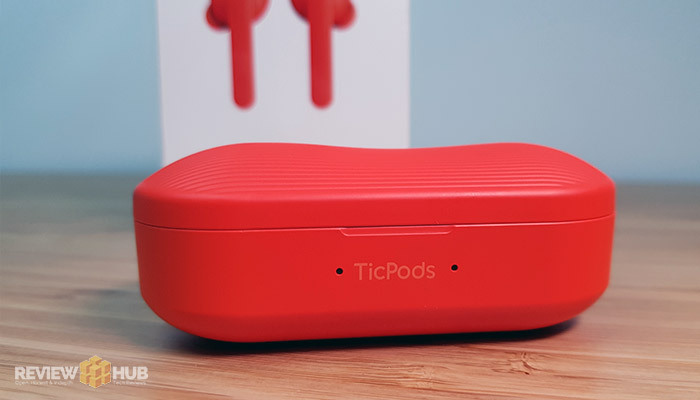 When opening the box, the TicPods will automagically turn themselves on and show you a battery indicator level via the two front-facing LEDs. You really don’t need to download the Mobvoi App, it’s more for if you own a TicWatch than the TicPods. The only option you have for the TicPods is to perform a firmware update and the pair I received were already up to date. Also, if you sign up via Facebook, you’ll be immediately asked for an email address… so don’t bother. And it’s worth noting, that the app won’t work without access to your location. During my time with the TicPods Free, I’ve been impressed. They hit the sweet spot between portability and battery life. The Lavvvaaa colour has really grown on me, and while I thought the capacitive touch controls would become gimmicky, they haven’t. At around the £110-120 mark at the time of this review, while not the cheapest, they are a step up from most of the competition. As for the sound quality, it’s going to be hit and miss depending on the type of music you listen to. Do we recommend the TicPods Free True Wireless Earbuds? Personally, the comfort, excellent connectivity and more natural bass profile was a bonus. So yes. But it won’t be for everyone.